Target: Free Rimmel Eye Shadow and Mascara! Hurry on over and print these coupons before they are gone! There is a new $2/1 Rimmel Target Store coupon available to print. = as low as free after stacked coupons! Final cost = as low as free after stacked coupons! https://i2.wp.com/savvywifehappylife.com/wp-content/uploads/2011/01/xtrasuperlash.jpg?fit=135%2C381&ssl=1 381 135 Brandi https://savvywifehappylife.com/wp-content/uploads/2016/09/SavvyWifeHappyLife-logo-2.png Brandi2011-01-23 14:35:132011-01-23 14:35:13Target: Free Rimmel Eye Shadow and Mascara! 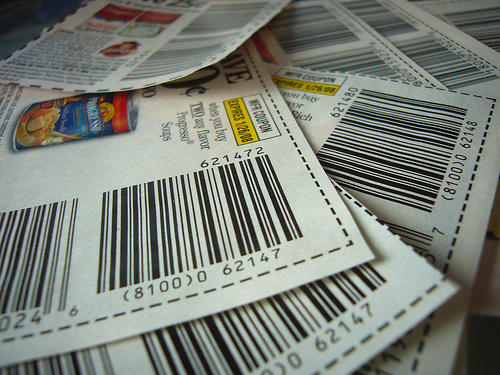 Here’s a round up of some nice coupons that are worth printing. They will get you some free or cheap items! Don’t wait to print them for when you need them because they’ll probably be gone before you know it! https://i0.wp.com/savvywifehappylife.com/wp-content/uploads/2011/01/coupons.jpg?fit=500%2C375&ssl=1 375 500 Brandi https://savvywifehappylife.com/wp-content/uploads/2016/09/SavvyWifeHappyLife-logo-2.png Brandi2011-01-12 09:40:142011-01-12 09:40:14Coupons Worth Printing! 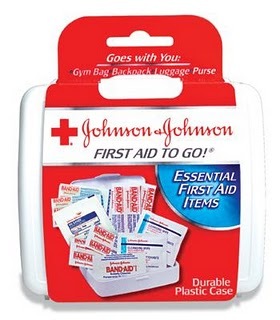 Johnson & Johnson First Aid Travel Kits for $0.25! Go on over to Smartsource to print out a coupon for $1.50/2 Johnson & Johnson Red Cross Products. They go for $1 at Walmart and for $1 – $1.19 at Target, so you should be able to get them for $0.25 each! I’ve bought these before and they are nice to throw in your car or a bag when you are on the go. You can also add some more band aids, wipes, and medicines that you can get for free and make yourself an awesome first aid kit! https://i1.wp.com/savvywifehappylife.com/wp-content/uploads/2011/01/Johnson_and_Johnson_First_Aid_To_Go_Kit_Coupon.jpg?fit=280%2C320&ssl=1 320 280 Brandi https://savvywifehappylife.com/wp-content/uploads/2016/09/SavvyWifeHappyLife-logo-2.png Brandi2011-01-09 14:03:382011-01-09 14:03:38Johnson & Johnson First Aid Travel Kits for $0.25!